The HTC One M9 only launched this week at Mobile World Congress, but it already looks set to be accompanied by a big brother handset. 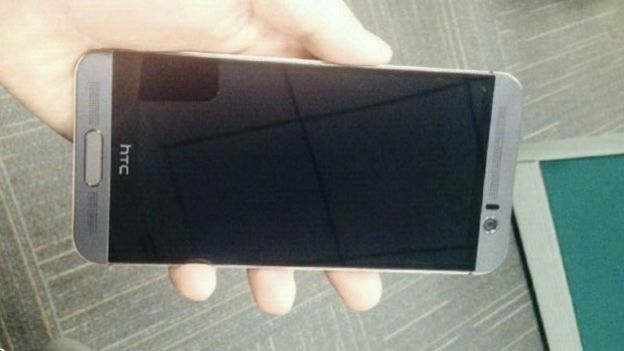 A bunch of photos have leaked online featuring the rumoured HTC One M9 Plus. The latest snap comes via Weibo, showing a larger version of HTC's 5-inch flagship with a physical home button. We also saw many other pictures this week courtesy of Mobilissimo, NWE and @upleaks – follow the links to check out the handset. What can we expect from the M9 Plus? Well based on previous reports, it looks set to pack a fingerprint sensor housed in the home button, similar to Apple's Touch ID tech on the iPhone 5S, iPhone 6 and iPhone 6 Plus. While the 'Plus' suggests it will be an oversized phablet version, leaks claim that it will have a 5.2-inch screen, so not much larger than the original. Rather than being a big jump in size, the Plus version instead exists to bring improved specs. Reports claim it will sport a 2560 x 1440 pixel QHD display, a beefier camera and a 2.0GHzocta-core MediaTek processor. The fact that HTC didn't take the M9 Plus to Mobile World Congress suggests it might only launch in select markets, so it may not even make it to British shores. That's all we know for now but stay tuned, we'll update when hear more.